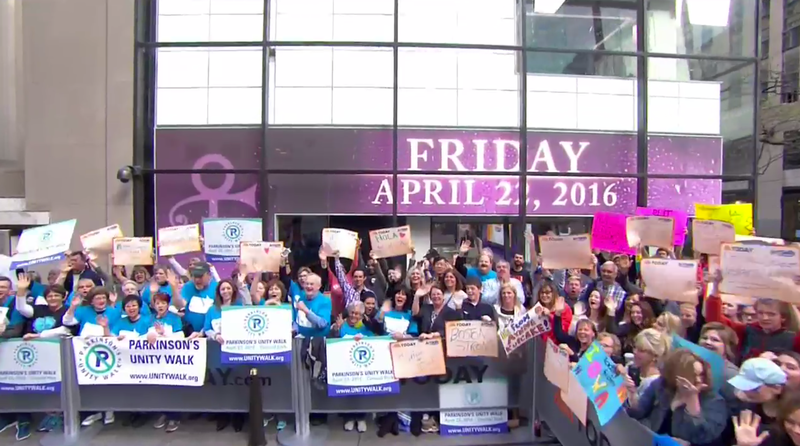 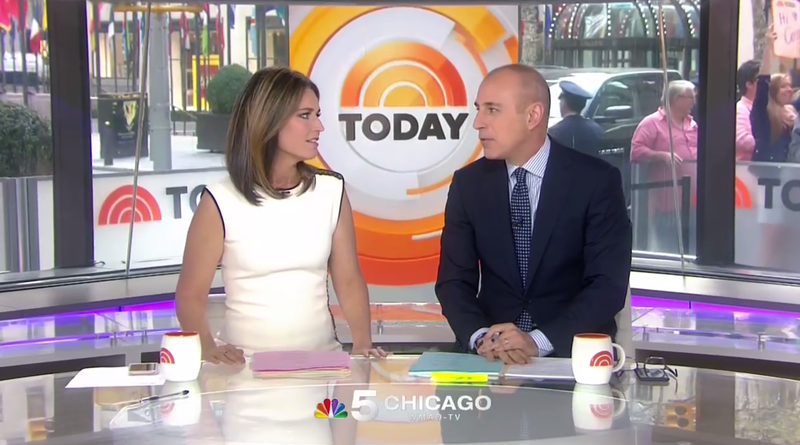 Both “Good Morning America” and “Today” pulled out the purple for their cold opens this morning in honor of the late musical icon Prince. 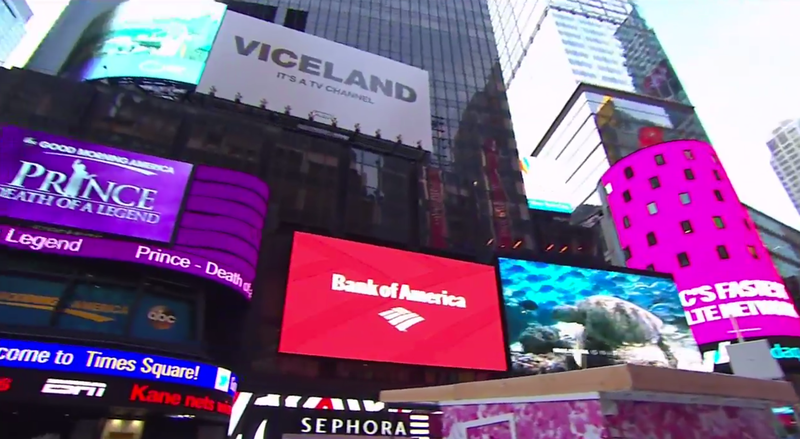 The show also used its video ribbons and giant screen outside its Times Square studio to further its violet color scheme. 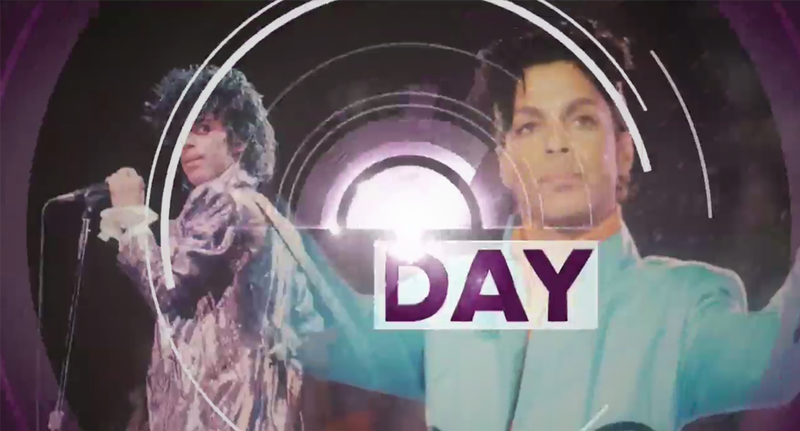 Meanwhile, across time, “Today” also recolored its normally sunny concentric rings in its open to shades of violet and white. 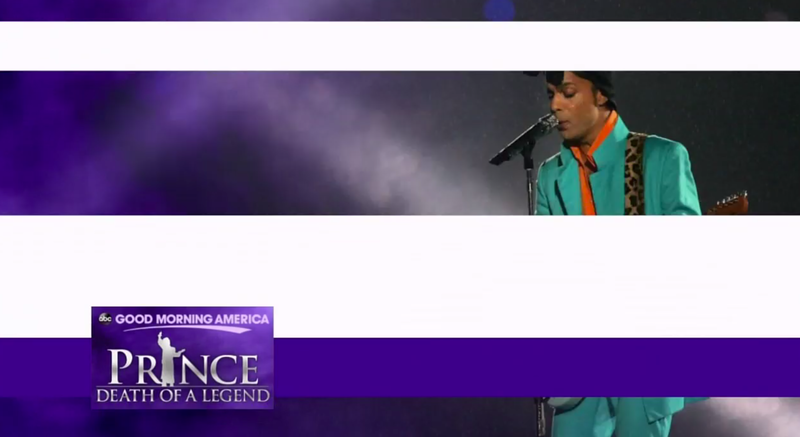 The show’s actual open and title card remained the same, however, but producers also opted to use Studio 1A’s large exterior-facing video walls to play homage to the artist, with a rendering of his famous (or infamous) symbol and the date. 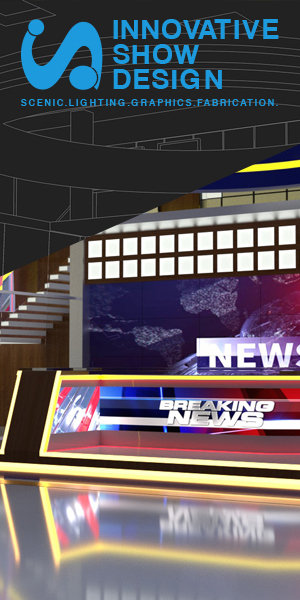 Inside the studio, meanwhile, the knee walls surrounding the corner window home base area were switched to purple.